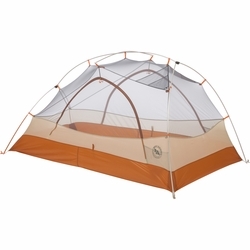 Big Agnes Copper Spur UL2 Classic Tent. From Big Agnes' best-selling, award-winning series, the Copper Spur Classic brings back the signature do-it-all backpacking tents. Featuring two, oversized drop doors for easy entry/exit, plenty of interior storage pockets, and simple set up design with ready-to-pitch guy lines and tensioners. The cult-like status of the Copper Spur UL Classic on trails across the world means this tent is well used and well loved.